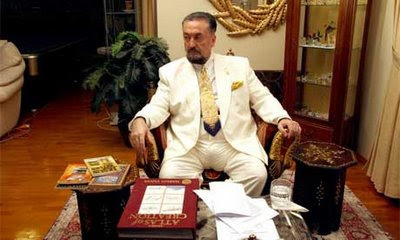 I'm surprized that you haven't been spammed by the sole fanatic for Adnan Oktar's pseudoscientific bilge. If Joe Morreale or Jamshed Moidu/ Kunnoth or Frederik K spam you with vast tracts ranting about how evolution has been destroyed,etc, you'll know that Oktar's lone follower has gotten upset and given you a knee jerk creationist response. Andy, thanks for the warning.